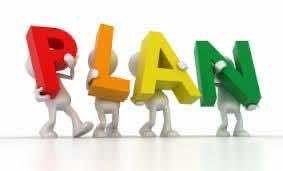 Create a daily plan. Plan your upcoming day before you go to sleep the night before. This will enable you to focus on the important things you need to do throughout the day. Your goal is to complete at least 80 percent of the things you wrote down. Set a deadline to each task. Be clear that you need to finish task X from 1pm to 4pm, Y from 4pm – 5pm, and Z – 5pm to 8pm. Use a calendar. Having a calendar is the absolute basis getting your work done. It’s even better if you can use a mobile app to help you keep track of the tasks for the given day -this way you can access your schedule no matter where you are. Use an organizer. The organizer is the one thing that keeps you on top of your daily life. It’s your central tool to organize information, to-do lists, projects etc. Know your deadlines. How much time do you have to finish a project? Mark the deadlines on your calendar and organizer in order to know when you need to finish them. Learn to say “No”. Don’t bite off more than you can chew. Learn to value your time and do not let minor distractions interfere with your plans, reply with a firm “No” or leave them for later. Early is better than late. When you arrange your plans exactly to be on time, you’ll either be on time or late. Most of the times you’ll be late. However, if you move the clock 5-10 minutes forward and still aim to arrive on the given hour, you’ll most likely be on time. For appointments, strive to be early. 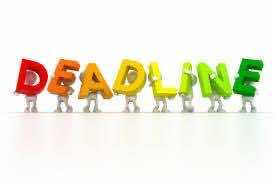 For your deadlines, submit them earlier than required. Focus. Are you doing way too many different things at once? If so, focus on just one key task at a time. You’ll be more efficient that way. Done is better than perfect. You will never get everything done in exactly the way you want. Prioritize. Since you can’t do everything, learn to prioritize the important things and let go the rest. Delegate. If there are things that can be done better by others or things that are not so important, consider delegating. This takes the load off your shoulders and you can focus on the important tasks. Match similar tasks together. For related work, batch them together. Eliminate your time wasters. That is essential for a perfect time management. Leave buffer time in-between. Don’t pack everything closely together. Leave a 5-10 minute buffer time in-between each task. This helps you wrap up the previous task and start the next one with a clear head. 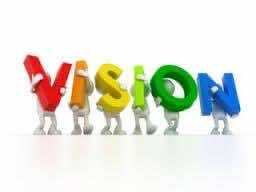 Stay true to your vision. Get present to your “Why”. This may involve meditating on your vision for 5-10 minutes or a daily meeting with your colleagues or teammates. Get up early. You’ll feel like you have received a head start on the day. Early-morning hours are dim and quiet, perfect for clearing your mind, summarizing what needs to be done for the day, and taking care of yourself before you start work. Do the most important and demanding tasks first. Then you can relax and focus on your family or not so urgent tasks. 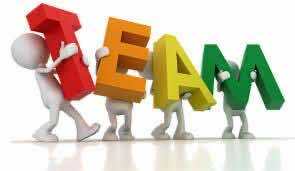 Work in a team. If doing so, you can delegate priorities to people you trust in order to keep your time for things only you are capable of doing. Keep the same morning routine, even on weekends. Do you get up at 6 a.m. on Mondays? Do the same on Saturdays and Sundays. It’ll make waking up again on Monday morning a lot easier. Take some time off: Whenever you feel depleted, take a break, go for a walk and clear your head. Too much stress can take a toll on your body and affect your productivity. Listen to some music or do some quick stretches – the blood that flows in your body after exercising makes you extremely focused. Learn the monetary value of your time. You have a budget for money: Money comes in. Money goes out. And you have money leftover. Consider creating a “time budget.” How much time do you spend for working on things that advance your goals? How much time do you spend for things that don’t improve or help you in any way? Think about it.